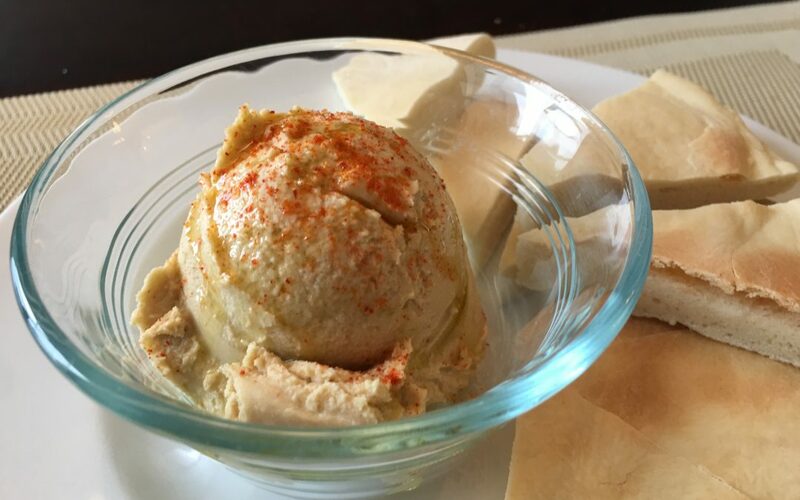 It’s not difficult to understand the crazy popularity of hummus. Easy to make (with ingredients found almost anywhere), vaguely healthy, cheap, and versatile. But like many popular things, it has strayed very far from authenticity. People have added all kinds of things to make it their own and its inherent simplicity makes it a easy option for featuring the ingredient-of-the-moment (beets, sriracha, sweet potatoes, edamame). But you owe it to yourself to taste the original, and that’s Molly’s goal. Meaning, basically, make it yourself and don’t bastardize it with nonsense like…well, anything. She will allow few toppings like onion, tahini sauce, parsley or zhoug, but please, no pesto! Truly transformative hummus (that will ruin you for eating the “acidic grocery-store” variety ever again) begins with dried chickpeas which then get a very long soak followed by a long boil. Knowing that Cook’s Illustrated recently dispensed possibly the greatest cooking hack of all time in its discovery that canned beans are actually better than dried, I decided to test that claim with this recipe. So per Molly’s instructions I soaked 1 cup of dried chickpeas overnight, boiled them for 2 hours with a bit of baking soda, and then ground them up in the food processor before adding lemon juice, garlic, tahini, salt and water. For the second version I cut about 14 hours off the prep time by using two cans of chickpeas, drained and rinsed, then proceeded per the book. To the degree I could detect any difference at all, I slightly preferred the canned bean version. The only obvious difference was the consistency; Molly’s version is as smooth and creamy as Jiff peanut butter while the canned version has a little more texture and chunkiness (if you care you could probably give it a few more minutes in the food processor to get closer to the smooth consistency). And why not make your own pita? Ok, I know why but think about it at least, please? Your house will smell like what I imagine heaven smells like. Here is the easy, canned chickpea version of Molly’s recipe. Drain and rinse chickpeas. With machine running, drop peeled garlic cloves into food processor and mince. Add chickpeas, lemon juice, tahini and salt and process. With machine running, add water and continue processing until desired consistency. Drizzle with olive oil and serve with pita. Store with a layer of olive oil to prevent drying.